ATHENS - The Division of State Fire Marshal, working in conjunction with the Athens Police and Fire Departments, is seeking the public’s assistance in solving an arson case at the Walmart located at 929 E. State St. The fire occurred on Tuesday in the early morning hours. The fire marshal has determined that the fire was intentionally set, causing significant damage to the building, which is now undergoing repairs and restoration. A Walmart employee was credited with preventing more extensive damage by utilizing a nearby fire extinguisher. A reward of up to $5,000 is being offered by the Blue Ribbon Arson Committee for information leading to the identification of the person or persons responsible for the fires. Anyone with information is asked to call the State Fire Marshal’s Fire and Explosion Investigation Bureau at 1-800-589-2728. COLUMBUS – Throughout the month of October, the Public Utilities Commission of Ohio (PUCO) and Ohio Development Services Agency are providing tips on reducing energy costs as well as information on energy assistance programs to increase awareness of energy efficiency during Energy Awareness Month. During Energy Awareness Month, Ohioans are encouraged to review how they use energy in their homes and offices. Lighting accounts for about 15 percent of the average home’s electric bill. Incandescent light bulbs waste about 90 percent of the electricity used to power them, with only 10 percent of the energy going to produce light, and the rest burning off as heat. 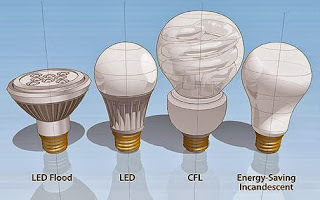 The table below shows how using compact fluorescent lights (CFL) or light-emitting diodes (LED) bulbs can be more energy efficient than incandescent light bulbs and save consumers money. Hold the base and not the glass to screw in the bulb. Read the packaging to see where each bulb should be used. Not all ENERGY STAR® qualified CFLs are designed to work in every socket. Use ENERGY STAR qualified light bulbs where the light will be on for at least 15 minutes at a time. Frequently turning a CFL on and off shortens the bulb’s lifetime. Most photocells, motion sensors, and electronic timers are not designed to work with CFLs. Check with the manufacturer for compatibility. There’s a small amount of mercury in every CFL (.4 mg to 4mg). By comparison, mercury thermometers contain about 500 mg of mercury. No mercury is released when the bulbs are intact (not broken) or in use; if a CFL breaks in your home, follow the clean up recommendations of the US EPA, and properly dispose of them when broken or burned out. Ohioans needing assistance in managing their energy costs can visit www.energyhelp.ohio.gov to learn more about programs that are available. More information on energy conservation tips can also be found on the PUCO’s website, www.PUCO.ohio.gov or by calling 1-800-686-PUCO (7826). 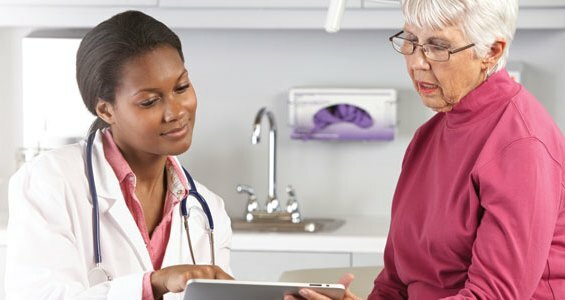 The legislation did not include an expansion of Medicaid under the federal health care law, which Gov. John Kasich has pushed for. bound lane of Route 33 with its emergency flashers on. 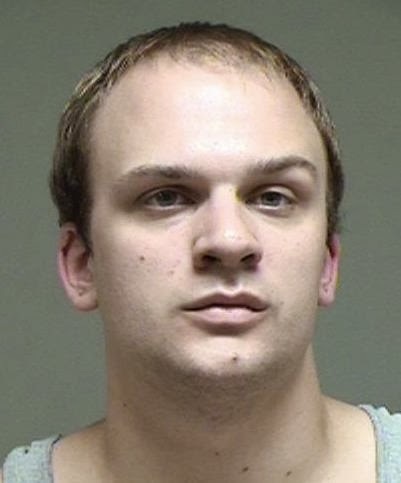 Athens County 911 Emergency Communications advised Arnold that the registered owner, 23-year-old John Bondurant of Haydenville, had an active warrant for his arrest from Hocking County. Bondurant was transported to the Southeastern Ohio Regional Jail in Nelsonville. On October 8, Deputy Sam Disaia was informed of a male exposing himself on Hamley Run Road at the bike path. Disaia patrolled the area and made no contact. On October 8, Deputy Keith Tabler answered a complaint of harassment thru Facebook of two 15-year-old girls. Deputy Tabler spoke with the parents and resolved the matter. On October 7, Deputy Jen Atkins was dispatched to Vore Ridge Road in Athens regarding a male who had fallen in the roadway and the caller could not wake him. When Deputy Atkins arrived Athens County Emergency Medical Services (ACEMS) was on scene and Brian Wheaton, 52, of Hunterdon Road, Glouster was refusing treatment. While verifying Wheaton's information Atkins found that Wheaton had two active child support warrants. Assigned to the child support grant program, Deputies Gillette and Tabler transported Wheaton to the Southeastern Ohio Regional Jail in Nelsonville where he is being held on a $2,000 cash bond. On October 8, Lt. John Morris and Deputy Chris Tomsha went to 99 Bean Road,The Plains, in an attempt to locate 25-year-old Jerry McGee in reference to an active warrant out of Athens County. Arriving on the scene deputies made contact with a female who said she lived there and that McGee was not inside. 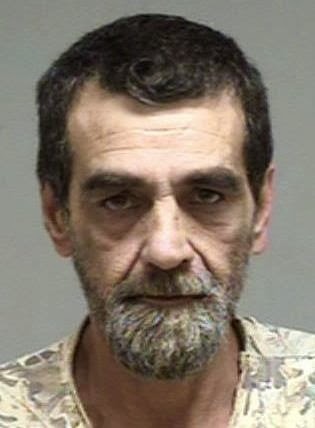 The female allegedly gave permission for deputies to search the residence and McGee was found hiding in a back bedroom. McGee placed under arrest pursuant to the warrant and transported to the Southeastern Ohio Regional Jail in Nelsonville. McGee is being held on a $2,500 bond and is scheduled to appear in Athens Muncipal Court on Oct. 17. 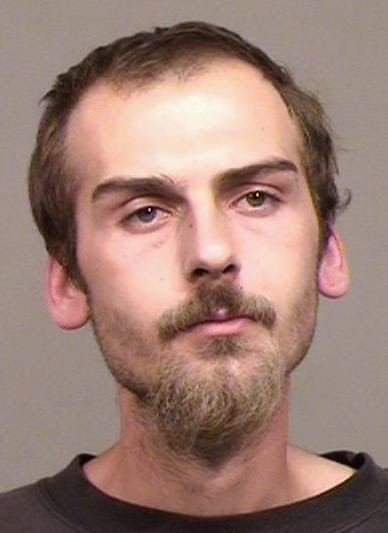 MCRTHUR – The Vinton County Sheriff’s Office reported that David E. Thompson Jr., 32, of McArthur, was arrested Tuesday on multiple charges. Thompson was arrested after a search warrant was executed at a McArthur residence and charged with alleged aggravated drug possession, several counts of breaking and entering, trafficking in drugs and tampering with drugs. The case was investigated Deputy Richard Hixson. During the search items of alleged drug trafficking and possession were found along with evidence indicating several storage units had been entered from inside an adjacent unit being rented by Thompson. A bond hearing is scheduled for Thursday in Vinton County Court. The sheriff’s office said additional charges will be presented to Vinton County Prosecuting Attorney Trecia Kimes-Brown for review. THE PLAINS – An Athens County Sheriff’s deputy was injured when he was struck in the neck by a phone cable damaged by a trash truck. According to Sheriff Pat Kelly, the incident occurred Friday on Route 33 near Circle Hill. Reserve Deputy Matt May was in the path of the cable and before he could react, the wire struck him in the neck area flipping him onto the highway. May was transported to O’Blennes Memorial Hospital by the Athens County Emergency Medical Services where he was treated for abrasions to his neck and face. Kelly said a low hanging telephone line supported by a metal cable was struck by a west bound trash truck the cable snapped at the top of the telephone pole and a four foot section of the pole and the cable was stretched across Route 33. May and Lt. John Morris arrived to stop traffic from running over the wire. As May was walking on the eastbound side of the highway, a semi-trailer truck drove over the cable. The cable and a section of the pole hooked onto the truck and was dragged creating a loop along the highway striking May. The Plains Fire Department responded to remove the cable and wire and the State Highway Patrol assisted at the scene. ALBANY – Two male suspects were arrested early Saturday morning after the Athens County Sheriff’s Office Narcotics Enforcement Team (NET) received information about a suspected methamphetamine lab in Lee Twp. According to a media release from Athens County Sheriff Pat Kelly, 24-year-old Ethan Allen Pierce, 2725 Crabtree Rd. Albany and Andrew Luke Barstow, 23, of 32490 Zimmerman Rd. in Albany were arrested at the Crabtree Road location. Kelly said the NET executed a search warrant just after midnight Saturday. Detective Jim Heater said one adult female and a child, less than 2 years old, were also at the residence during the execution of the search warrant. Alleged evidence of prior meth manufacturing, a cook, along with suspected chemicals needed to manufacture meth were located inside the residence. Pierce and Barstow were charged with assembly of chemicals to manufacture drugs with a child present, a second degree felony. The pair was transported to the Southeastern Regional Jail (SEORJ) in Nelsonville. Meigs County Sheriff’s Office Sgt. Gilkey and Detective Smith assisted with investigating the lab. Due to the presence of hazardous chemicals, the Albany Fire Department and Athens County Emergency Medical Services were also on scene. Athens County Children Services responded to the scene and the child was placed with a grandparent. The official opening ceremony for the newly constructed U.S. Route 33 will be Tuesday, October 1, at 9:30 a.m. The opening ceremony will be held at the new State Route 78/ State Route 691 interchange and is open to the public. Persons wishing to attend the ceremony can access the area via the new State Route 691 access road off of old route 33 southeast of Nelsonville. Once the opening ceremony is complete ODOT hopes to have the new west bound lanes of U.S. Route 33 open by noon. The new east bound lanes should be opened by 3 a.m. Traffic on the new U.S. Route 33 will be down to a two lane roadway at the Elm Rock Road overpass southeast of Nelsonville while construction crews complete the final transition away from the old roadway. ODOT advises persons traveling the new U.S. Route 33 corridor through the Nelsonville area should use caution do to numerous traffic pattern changes. The bypass had been planned for years and many Nelsonville residents feared a loss of commerce, especially along Canal Street. Proponents said near-daily traffic backups on Canal Street show the bypass was needed. ATHENS – Deputies from the Athens County Sheriff’s Office executed a search warrant Friday at an Athens residence as part of an investigation into prostitution and trafficking in persons. According to a Saturday evening media release, Athens County Sheriff Pat Kelly said Detective John Deak, working with caseworkers from Athens County Children Services, received information Sept 23 that a 16-year-old female was being used as a prostitute in exchange for money and drugs. Kelly said Ellen Mays, 27, of Binder Basin Road in Glouster was interviewed Friday by detectives and charged with compelling prostitution and trafficking in persons. Mays allegedly confessed to detectives she set meetings between 69-year-old Fred Kittle Sr.,13639 Rocky Point Rd., and the juvenile female for the purposes of prostitution, and received drugs in exchange. Kittle is a convicted registered sexual offender in Athens County and evidence was collected at his residence. The juvenile is safe and is in the care of children's services. Kittle was charged with allegedly compelling prostitution and importuning and Mays was charged with allegedly compelling prostitution and trafficking in persons. Mays is being held at the Southeastern Ohio Regional Jail (SEORJ) in Nelsonville on two $50,000 cash or surety bonds. A search of the SEORJ database did not turn up a record for Kittle. Detectives will resume the investigation Monday to determine if others are involved and collect more information. 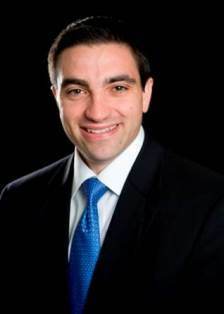 COLUMBUS — State Senator Lou Gentile (D-Steubenville), representatives of the United Mine Workers Association (UMWA), and local officials will hold a press conference today at the UMWA monthly meeting. The purpose of the press conference will be to discuss ODNR’s proposal to relocate jobs and close the Jerry L. Stewart Mine Safety Training Center in Cadiz. The news will be Friday, Sept. 27, at 11 a.m. at the Jerry L. Stewart Mine Safety Training Center, 43029 Industrial Park Rd. in Cadiz.